As of today, the new public reports (a.k.a. public status pages) are no longer in beta. 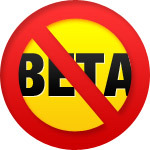 We here at Pingdom would like to thank you all for your feedback during the beta testing period. The old-style public reports will continue to work until May 31. After that date, they will automatically redirect to the new reports. If you’re not already using the new style of public report (it uses a different URL than the old one), now might be a good time to switch. 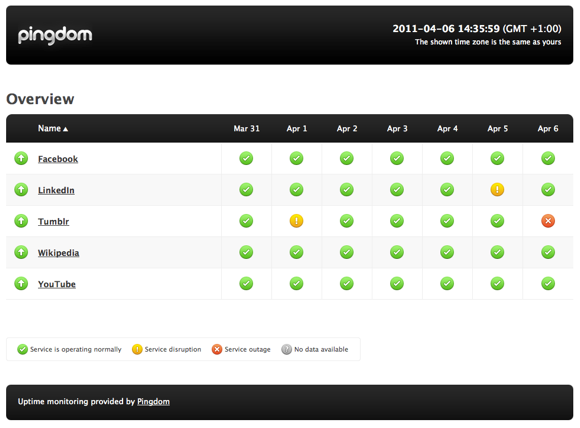 All the information you need is available under Public Reports in the Pingdom control panel. The new public reports give you a ton of more features. Among other things you get charts, you can customize the design, and even connect the report to a custom domain (even Pingdom users with free accounts can do this). For those of you who missed it, this is what the new public status overview looks like (if you activate it), and from there you can access more detailed reports about each check. What you see here above is the default Pingdom style. As we have mentioned, you can add your own logo and colors to make the style of the status page match your own. Now just remember that all old public reports will switch over to the new ones automatically on May 31st.